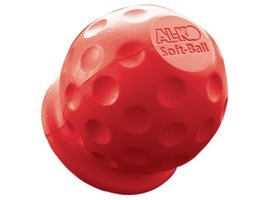 The AL-KO Soft Ball Red is a rubber tow-ball cover with a golf ball design to fit 50mm tow-balls. Simply push over the tow-ball for effective shin protection. 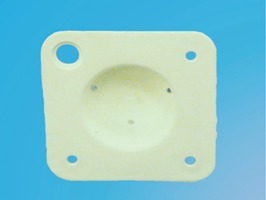 UV, cold and heat resistant. 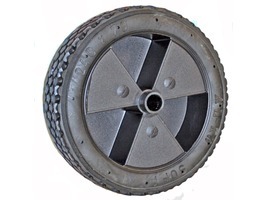 3 spoke spare soft wheel for Alko heavy duty jockey wheel assemblies. Wheel dimensions; 240mm x 70mm. 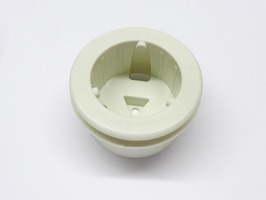 Spindle hole; 20mm (internal diameter) x 90mm (length). 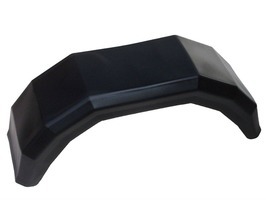 Maypole 10" Plastic Mudguard is injection moulded in durable black high density polyethylene, with flat flange for ease of fitting to side of trailer. Suitable for 10" wheels (L620 x W180mm). 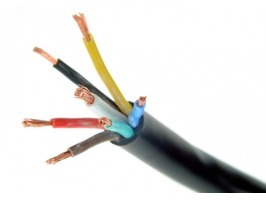 Maypole 7 Core cable coloured for easy wiring of road lighting. Sold per metre. 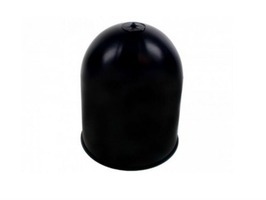 The Maypole Black Plastic 50mm Ball Cover is designed to fit all standard 50mm towballs to protect the towing ball from the elements. 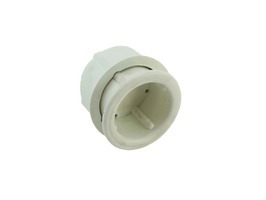 Moulded plastic holder suitable for keeping one 7-pin N-type or S-type trailer or caravan plug clean and secure when not plugged in. 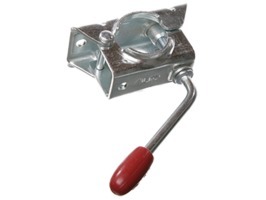 AL-KO heavy duty steel clamp with clamp handle to take any 48mm diameter jockey wheel assembly stem. 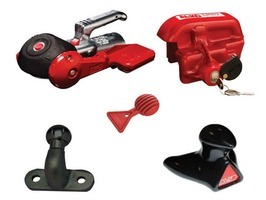 The Homestead Caravans Accessory Online Shop and Essex Superstore stocks all manner of equipment for Towing Caravans and Luggage Trailers including, a comprehensive and essential collection of Towball and Towbar accessories. There's so many Towing and Trailer parts to choose from, with many more being added to the website throughout the year. 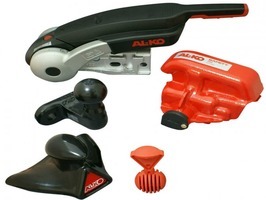 Popular lines include Towball Covers, Drop Plates, Towball Spacers, High Tensile Nuts and Bolts, Bumper Protector Plates and a range of Alko towing accessories, such as the Alko AKS Extended Neck Towball, Alko Soft Dock and Alko Soft Ball. 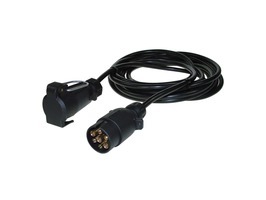 Towing Electrics is another popular product area with a myriad of 12N and 12S Plugs, Sockets, Power Leads, Connectors and Adapters designed to help your car and caravan get electrically aquainted, and all readily available from stock. Homestead Caravans is an appointed Service Centre for Alko, a market leading manufacture of caravan chassis. 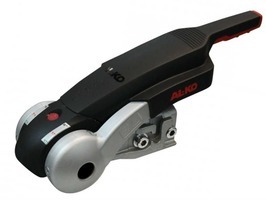 The Alko Service Centre stocks a wide range of Alko replacement parts including Hitch Couplings, Corner Steadies, Corner Steady Blocks, Hitch Dampers, Wheel Bolts, Grease Caps, Wheel Nuts, Drawbar Gaiters, Breakaway Cables and many more besides. As a leading retailer of Maypole and Ring products Homestead also stock a wide range of Trailer Spare Parts at very competitive prices. 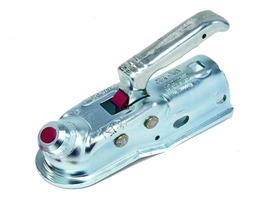 Towing Aids play an important role in making Towing as safe and as pleasurable as possible. 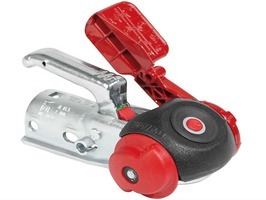 Towing Aids are designed to keep you, your family and other road users safe while towing a Trailer or Caravan. One such Towing Aid is a Stabiliser, of which there are essential two types; Leaf Spring Stabiliser and Coupling Stabiliser. Stabilisers prevent the Tow Car and Caravan from Snaking and pitching; an unintentional and potentially hazardous manoeuvre that can be quite alarming for travelling occupants. Leaf Spring and Coupling Stabilisers work in very different ways. A Leaf Spring Stabiliser works by applying downward pressure on the caravan chassis, while a modern Coupling Stabiliser works by applying precise pressure directly to the tow ball, via a specially designed set of friction pads. 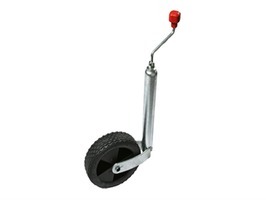 Coupling Stabilisers are considered more efficient and are fitted as standard on most new touring caravans. 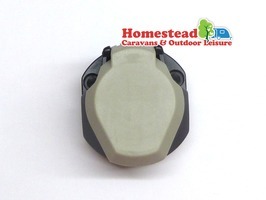 At Homestead Caravans you will find a number of trusted brand stabilisers such as the Alko AKS1300, Alko AKS3004 and various Alko Triple Pack models. 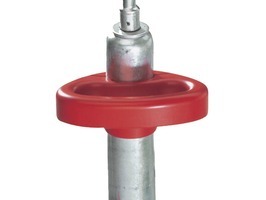 The renowned Winterhoff 3000-D Stabiliser is an extremely popular Coupling Stabiliser for caravans fitted with an Albe chassis plus, you will find a very popular Leaf Spring Stabiliser by Stronghold, incorporating a Quick Release Mechanism. 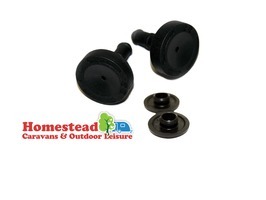 Whether you own a Caravan or Trailer, your good to go with a Stabiliser purchased from Homestead Caravans! Other safety conscious products include Caravan Noseweight Gauges and Portable Digital Weight Check devices that accurately measure the weight of the caravan to ensure you don't go over your caravans permitted laden weight. Homestead Caravans is also a great place to stock up on Caravan Towing Mirrors, which are a legal requirement if your caravan is wider than your car. Look out for the award winning and highly popular range of Milenco Towing Mirrors including, various styles of Milenco Aero and Milenco Grand Aero Mirrors. 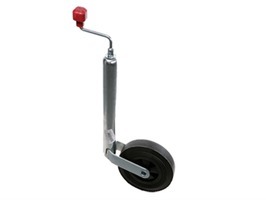 You'll also find in-stock the robust and durable Maypole Towing Mirrors. For Fiat Ducato, Peugeot Boxer and Citroen Relay motorhomes check out the Milenco Mirror Protectors, designed to fit Fiat Ducato vans from 2007 and onwards. If you're trying to track down an older Road Light or Light Lens for your Trailer or Caravan, Homestead Caravans is a good place to start, with a large range of Jokon, Hella and Britax Exterior Lamps in stock including Rear Combination Lamps and Front and Side Marker Lamps plus, Number Plate Lamps and Trailer Light Boards. Homestead Caravans stocks all the top brand names in the Leisure Industry including Kampa, Alko, Milenco, Maypole, Reich, Jokon, Hella, Britax, Ring, Rolson, Grayston, Winterhoff and Stronghold. Whatever you require you can be sure to find it at Homestead - Your Home From Home.